Amazon today announced a pair of new tablet models for release later this fall in the form of the new Kindle Fire HD and Kindle Fire HDX. 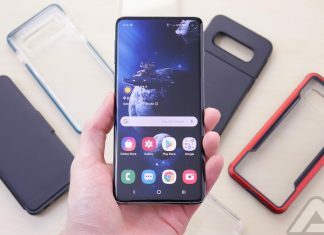 The specs are right in line with the previous rumors and look to include much faster processors, higher resolution displays, and improved cameras. What we didn’t see coming, however, is the aggressive price point for the new models. Noteworthy Kindle Fire HDX include 7-inch and 8.9-inch display sizes, 2.2GHz quad-core 800 processor, Fire OS 3.0 “Mojito”, dual stereo speakers, and an 8-megapixel rear camera. Like its predecessor, this guy will be offered in Wi-Fi and 4G LTE flavors. The new Kindle Fire HD is much like the previous generation, however it comes with a much more attractive $139 sticker price. Features include a 1280×800 display, a dual-core 1.5GHz processor, and the Mojito OS. 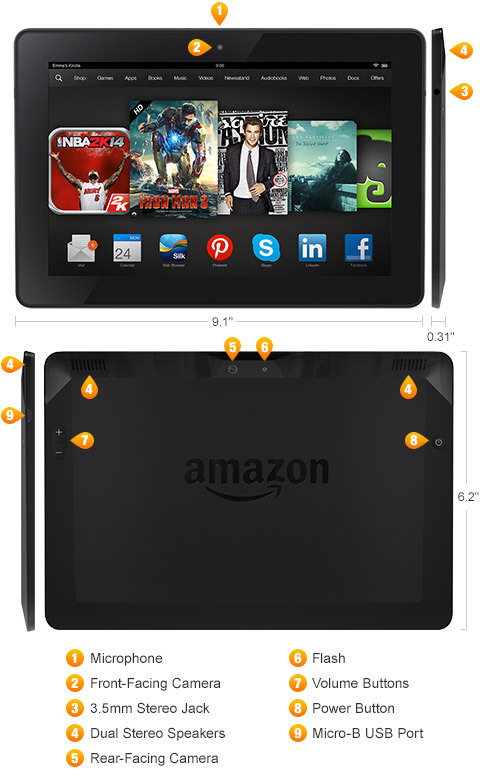 SEATTLE–(BUSINESS WIRE)–(NASDAQ: AMZN)—Amazon today introduced the third generation of Kindle Fire—the all-new Kindle Fire HDX. The new Kindle Fire HDX tablets combine groundbreaking hardware, the latest version of Fire OS, and exclusive new features and services like X-Ray for Music, Second Screen, Prime Instant Video downloads, and the revolutionary new Mayday button. 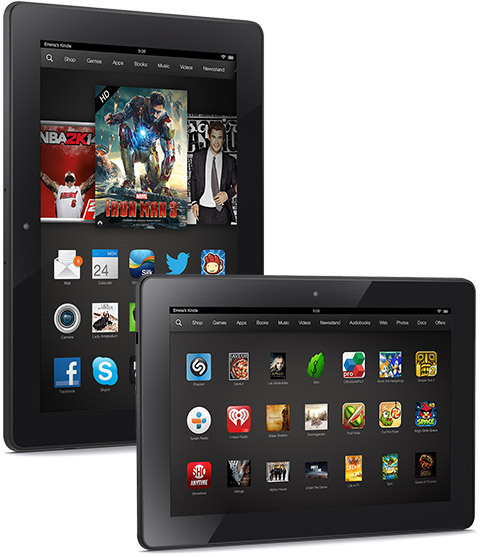 Learn more about the new Kindle Fire HDX family at www.amazon.com/hdx. New Mayday button delivers revolutionary live tech support—one touch connects you to an Amazon expert who can guide you remotely through any feature—24×7, 365 days a year, and it’s free. 15 seconds or less is the Mayday response time goal. Amazon’s exclusive HDX display brings together exceptional pixel density (1920×1200 at 323 ppi for 7”, 2560×1600 at 339 ppi for 8.9”) and perfect color accuracy (100% sRGB), resulting in images and videos that display as the photographer or videographer intended. The new display also features dynamic image contrast, a unique algorithm that adjusts the color of each pixel depending on the ambient brightness in order to maximize contrast. This makes images and videos even easier to see in any lighting conditions, including outdoors. Both the 7” and 8.9” Kindle Fire HDX feature a front-facing HD camera to help you stay in touch with friends and family with Skype. Fire HDX 8.9” features an 8 megapixel rear-facing camera that allows for high-resolution photos and 1080p HD video, plus an LED flash, Electronic Image Stabilization, and a wide-aperture 5P f2.2 lens that lets in more light, reducing exposure times and producing sharper images. Having trouble or want to learn how to use a new feature? Simply tap the Mayday button in Quick Settings, and an Amazon expert will appear on your Fire HDX and can co-pilot you through any feature by drawing on your screen, walking you through how to do something yourself, or doing it for you—whatever works best. 15 seconds or less is the Mayday response time goal. Mayday is available 24×7, 365 days a year, and it’s free. See the separate press release on the Mayday button and preview three upcoming TV ads that show how the Mayday button works:www.amazon.com/mayday. Kindle Fire HDX is powered by the newest version of Fire OS – Fire OS 3.0 “Mojito”, which introduces hundreds of new and upgraded features, Amazon-exclusive services, platform updates and more. Fire OS starts with Android and adds cloud services, a content-first user interface, built-in media libraries, productivity apps and low-level platform enhancements to integrate Amazon’s digital content and improve performance for Kindle Fire tablets. If an app runs on Android, it can run on Fire OS. Amazon is expanding X-Ray to music by adding lyrics that let you follow along with songs. Lyrics display and scroll automatically line-by-line as the song plays. Fire HDX is ready for work, with support for encryption of the user partition of the device to secure data; support for Kerberos authentication so corporate users can browse secure intranet websites; the ability to connect to secure enterprise Wi-Fi networks as well as corporate networks via a native or a 3rd party VPN client; and Mobile Device Management solutions ranging from Amazon’s Whispercast service to 3rd party vendors like AirWatch, Citrix, Fiberlink, Good Technology, and SOTI. Some of these features will be delivered as part of the Fire OS 3.1 update. Join over 20 million other readers and see what your friends are reading, share highlights, and rate the books you read with Goodreads on Kindle, available exclusively from Amazon. Goodreads will be available as part of the Fire OS 3.1 update. Kindle Fire’s Special Offers are better than ever with exclusive limited-time, limited-quantity deals available directly from the lock screen. These deals are similar to Lightning Deals that run on Amazon.com, but with even greater savings. The first deal, available in the coming weeks, will be the Madden NFL 25 video game for $5 (92% off).